Starting from November 24, MOSHI MOSHI NIPPON FESTIVAL 2016 a festival that has focused on Japanese culture from diverse areas lasted 4 days. 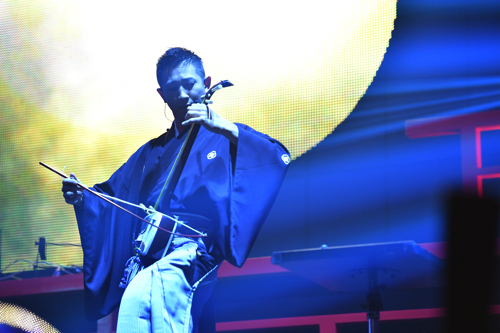 On the last day, artists who are prominent overseas came to perform! 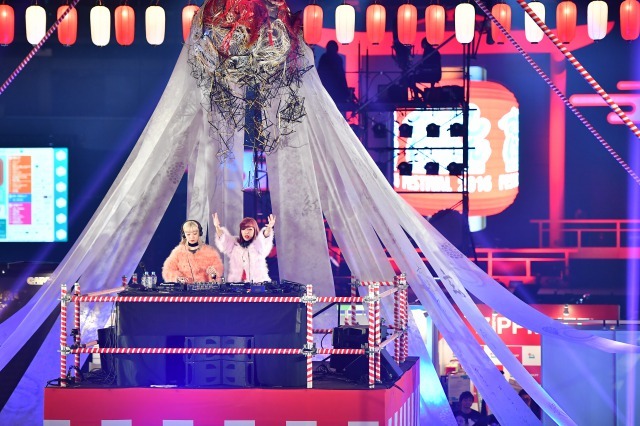 KIREI and KAIEN artistically performed with the theme of “wa (Japanese culture)” kicked off the day on YAGURA stage and AMIAYA and Una appeared at the DJ booth. 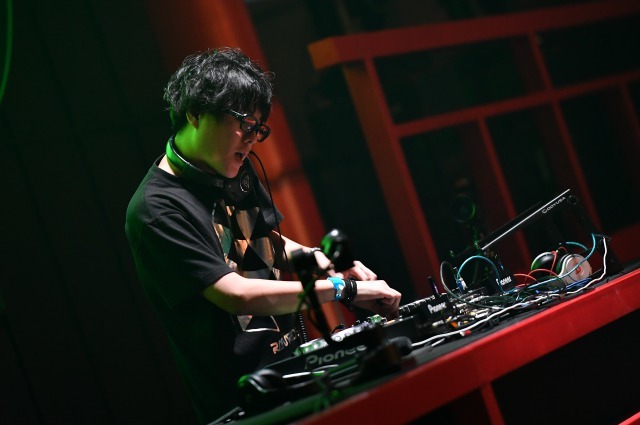 The epic performance of DJ created fervent atmosphere and brought the excitement to MOSHI FES Day 2. 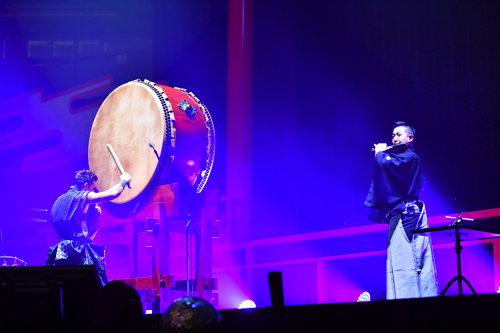 Taiko (Japanese drums) and Shakuhachi (baboo flute) were the first to perform on the MOSHI MOSHI stage. With their powerful sound of drums, everything quickly became quiet and the audience were enthralled by their performance. After the opening show, DJ RAMRIDER remixed different famous Japanese songs from diverse fields. The dynamic music from games to anime captivated the crowd at once. Attarashii Gakkou Leaders appeared on stage. 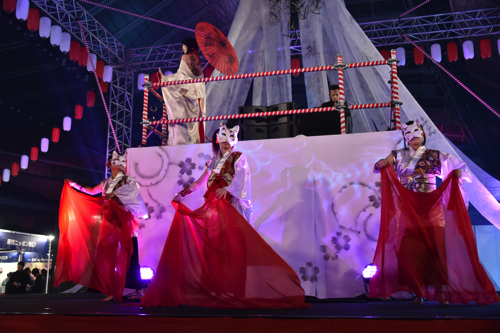 Their unique performance and MC gave a strong impression on many visitors. They also had a vigorous movement and brilliant voice that echoed throughout the venue. 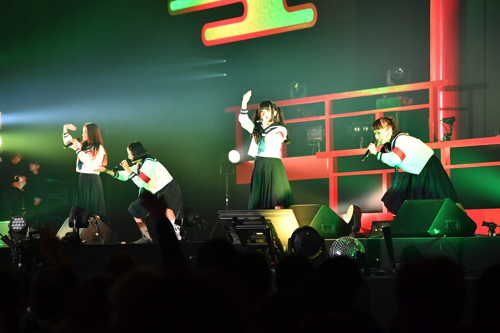 TEMPURA KIDZ performed next on stage. Having a humorous dance and performance, they intrigued the crowd by singing 6 songs nonstop. Without allowing the audience to calm down, denpa gumi inc took on the stage. They performed their famous songs “W.W.D”, “Denden passion” and their new song “saisai kouchou!”. 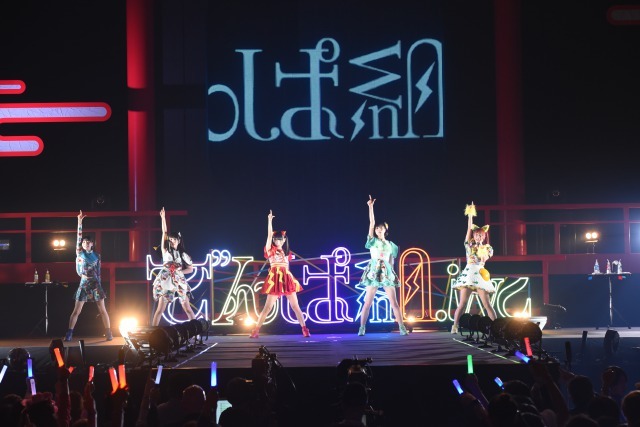 Attarashii Gakkou Leaders and Denpa Gumi inc collaborated on stage as NEO JAPONISM. It was a performance that could only been seen at the event. Japan’s well known store such as “Nishi-Azabu Kenshiro” and “Kyoto Kimora Tetsu” gathered to the “Nippon Umai Yokocho” at the event. 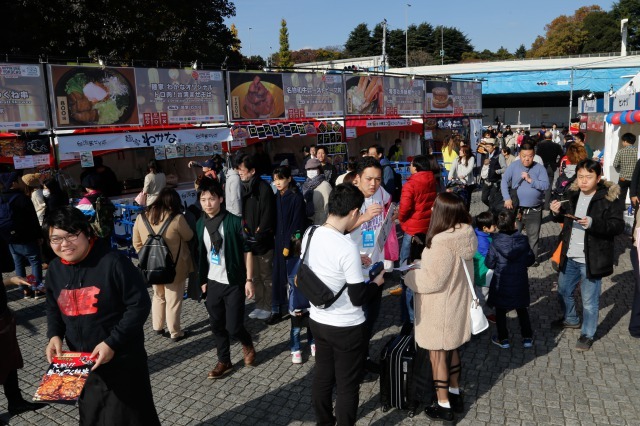 Many visitors were thrilled to eat the hot dumplings and juicy matsuzaka beef burger. People also enjoyed the event through the food culture of Japan. Since yesterday, the venue has been set up with many intriguing booths. 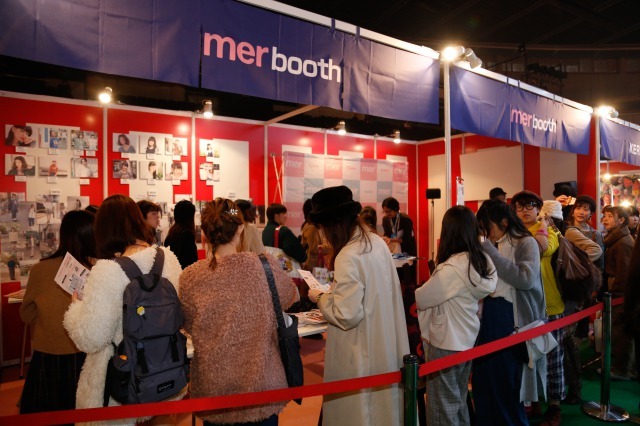 One of the most popular booths among foreign visitors was “Experience Japanese Culture Booth “WABI-SABI” which enables visitors to experience Japanese traditional culture. In the Japanese calligraphy and kimono workshop, many foreigners were enjoying the interactive experience. Many fans came running for the tickets to meet the famous models at the booth. 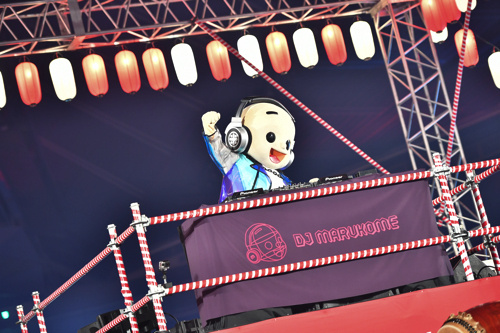 On the Yagura stage, DJ MARUKOME appeared on top of the yagura. Visitors were thrilled to see a unusual performance! Tokyo Performance Domo, a collaborative unit of Domo-Kun and Tokyo Performance Doll, stood next on the stage and taught domobics to the audience. DAISHI DANCE feat. PAX JAPONICA GROOVE/ Housen delivered their beautiful melody on the MOSHI MOSHI stage. 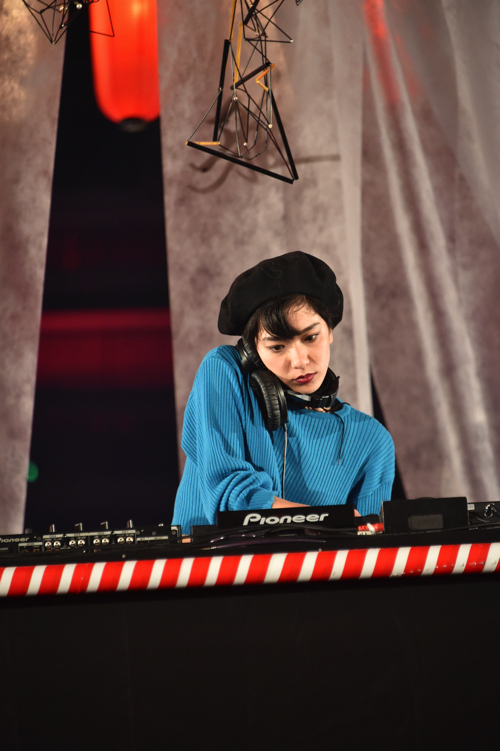 The mix of sensational melody of the PAX JAPONICA GROOVE’s synthesizer, Japanese instruments, Housen’s dance and DAISHI DANCE’s DJ created a wondrous atmosphere on stage. As the venue came into one, CAPSULE took on the stage. 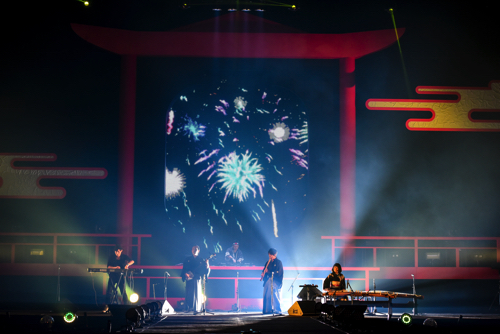 The concert begun with “Starry Sky” “AnotherWorld” and “More!More!More!”. The venue was full of energy that it was like an dance floor in the crowd and CAPSULE finished their stage with “Sugarless Girl”. 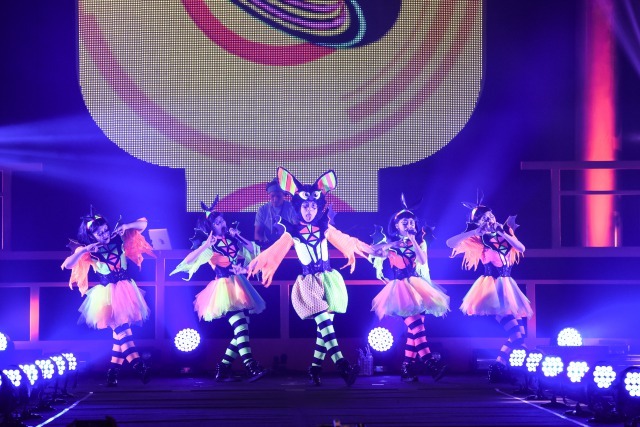 The last performer of the MOSHI festival is Kyary Pamyu Pamyu, who finished her 5th year anniversary’s world tour. 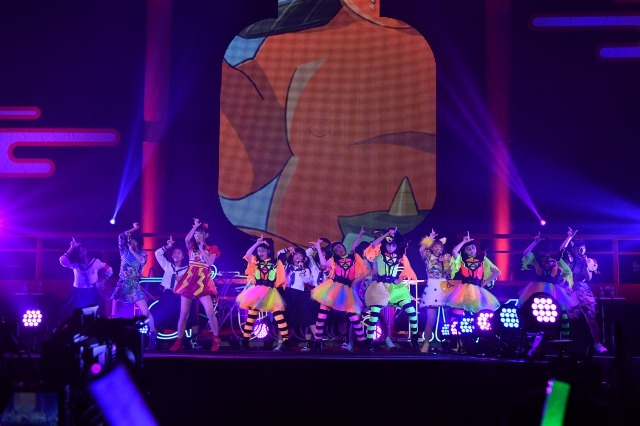 While wearing bright red costume, Kyary performed the remix of “Kira Kira Killar” “CANDY CANDY” “PON PON PON” and “Ninjyari Ban Ban”. Foreign visitors were thrilled and reached its climax when she played “Tukema Tukeru”, a popular song overseas! “Say & Kou” performance was full of excitement and was the finale of the “MOSHI MOSHI NIPPON FESTIVAL 2016”. 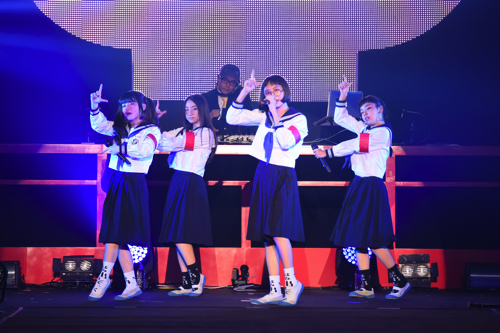 “MOSHI MOSHI NIPPON FESTIVAL 2016” which toured around the world finished off the event in Tokyo. 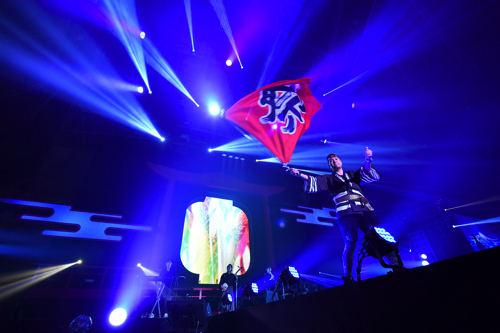 It became an world wide festival that delivered enthralling Japanese culture to the world. Second wave of artists announced! DEMPAGUMI.inc, RAM RIDER, Anna Yano …and more! !